Would you like a new and rewarding career as a driving instructor in Southampton? 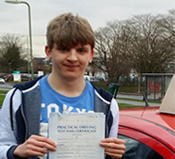 At Oak School of Motoring Ltd we offer Driving Instructor Training in Southampton, giving you the chance to become a self-employed driving instructor in Southampton and surrounding areas. Once you have successfully completed our Driving Instructor Training Course you have the benefit of working the hours that suit you, but with the support of a company that has a highly regarded reputation in the driver training industry in and around Southampton. The franchise which OAK School of Motoring Ltd offers is very competitive. We offer support, advice and any additional training needed in those first few years. 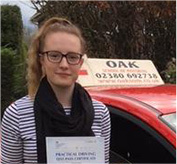 OAK School of Motoring Ltd is a well-established, family run driving school based in Southampton which prides itself on putting its instructor’s interests at heart. With this in mind OAK School of Motoring Ltd has tailored a range of Instructor Training courses to suit everyone. You can tailor your training around your work, so you are still earning while you train. Alternatively, you can train with one of our more intensive Driving Instructor Training Courses in Southampton. 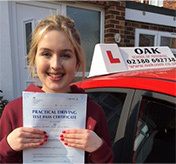 Once you have completed the training and become fully qualified, you can look forward to a guaranteed position with OAK School of Motoring Ltd joining our team of fully qualified Approved Driving Instructor’s. With an increasing number of people wanting to drive and become independent the need for instructors is greater than ever! Teaching people to drive can be a varied and rewarding career. It is very satisfying taking on a complete novice, and then going on a journey with them to help them acquire the confidence and skills to support them with gaining their full driving licence. A driving licence is the first step towards independence for most people and helping someone to gain their licence may actually help them get that dream job! You must pass a DBS (Enhanced Level Disclosure and Barring Service) formally known as a CRB check. The course is organised into three parts. This is a test of your theory knowledge and is made up of 2 sections: Multiple choice and Hazard perception. The whole test takes approx. 1 hour and 45 minutes and you must pass both sections in one sitting to pass the test. The test is made up of 100 questions. 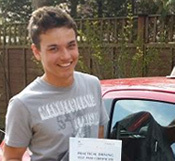 We provide you with online and one-to-one training to help with your Driving Instructor Training in Southampton. -Driving on a variety of roads including motorways. Our training will offer between 10-15 hours to cover all these areas, starting with an assessment drive to access your current standard of driving. We will then be able to focus on the areas highlighted by the assessment drive, and the training will be tailored to individual needs. This is a test of your ability to instruct pupils. The test lasts approx. 1 hour and during the test the examiner will assume the role of the pupil. The test will assess the value of the instruction you give & your ability to pass on knowledge. We offer 40 hours of in-car training and will help you to train using the knowledge gained in part 2, you will also be able to sit in on live lessons to watch teaching styles. Once you have completed the Driving Instructor training course and become fully qualified you can look forward to a guaranteed position in Oak School of Motoring and join our growing team of fully qualified ADIs. 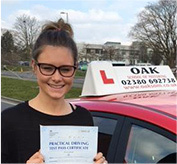 So if you are calm, patient, enjoy teaching and helping others, and are looking for a new rewarding career then join Oak School of Motoring Ltd and our Driving Instructor training in Southampton.